Our Small Gypsy Pastels Chandeliers will add class and intrigue to your home, event, or retail environment. 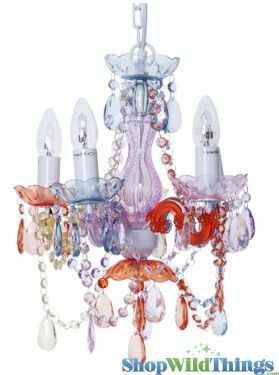 Dripping with beads, this 5 arm chandelier is constructed beautifully using acrylic, glass, and resin. The chandelier body is 15" in diameter and 17" tall. The hanging chain is 8.5' long and the cord is 12.5' long and comes with an on/off toggle switch. This long cord length allows you to swag the chain across the ceiling and plug in to a wall outlet. A mounting bracket with hook is also included. Use five E12 bulbs, max 25 watts each (bulbs not included). These lamps are plug-in style but can also be converted to hard-wire by an electrician. This chandelier weighs almost 6 lbs. Ordered this item while finishing the interior of my daughter's playhouse. Couldn't be more please! Looks beautiful! Going to use for a Baby Shower BOHO style. Can not believe how sweet and cute it is. Can't wait to see my daughters face when she sees this! Very happy I purchased. 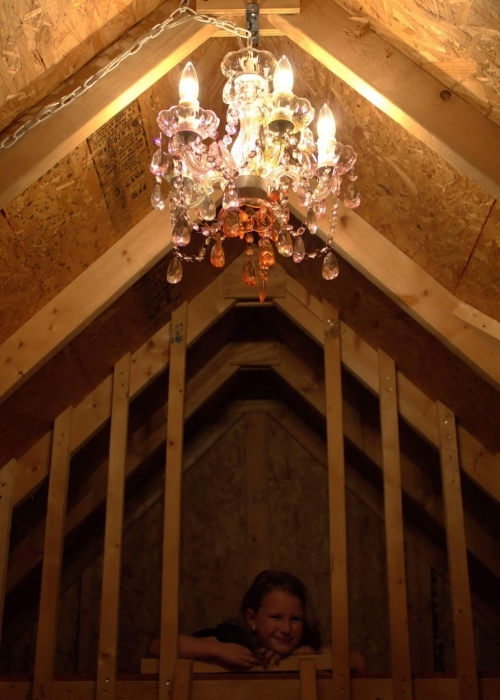 I placed the chandelier in my foyer. It gives off a subtle glow. ProsMulti pastel colors which brightens my entance. ConsThe switch arrived broken. It was not fixable. I had to buy a new switch and have my husband install it. I was disappointed. I did not want to go through the hassle of returning the item, etc. So, some of the money I saved on the sale, I had to spend on a defective switch. Exactly as pictured, love it! Great price! Exactly what we were looking for. Thanks! Excellent customer service Products are better than pictured! Perfect amount of light with plenty of bling. Lightweight and easy to hang.